Week four of our summer survival series is here! It's been so much fun putting together these themed posts for you guys. As you know, I normally just keep my posts light and airy with little commentary, usually outfit related. These have been a bit more time intensive to develop, but it's nice to have different content for you guys than usual. Hope you are enjoying them! If you've missed any of the previous topics, you can read more about my beach and pool essentials here, summer olympics inspiration here, and the mother of all packing posts here. This week's post is all amount summer nights out! Since this is a Coast to Coast collaboration, I thought I would start with a roundup of some of our favorite restaurants in the St. Louis metro area. In case you are completely unfamiliar with St. Louis (as I was before I lived here), the metro area straddles the Mississippi River and the river serves as the border between Missouri and Illinois. So, even though my home address is in Illinois, we are still considered part of the St. Louis metro area. When people ask me where I live, I always say "St. Louis" because the second you mention living in Illinois, people's brains go directly north to Chicago. Chicago is 4 hours away and very different than St. Louis. 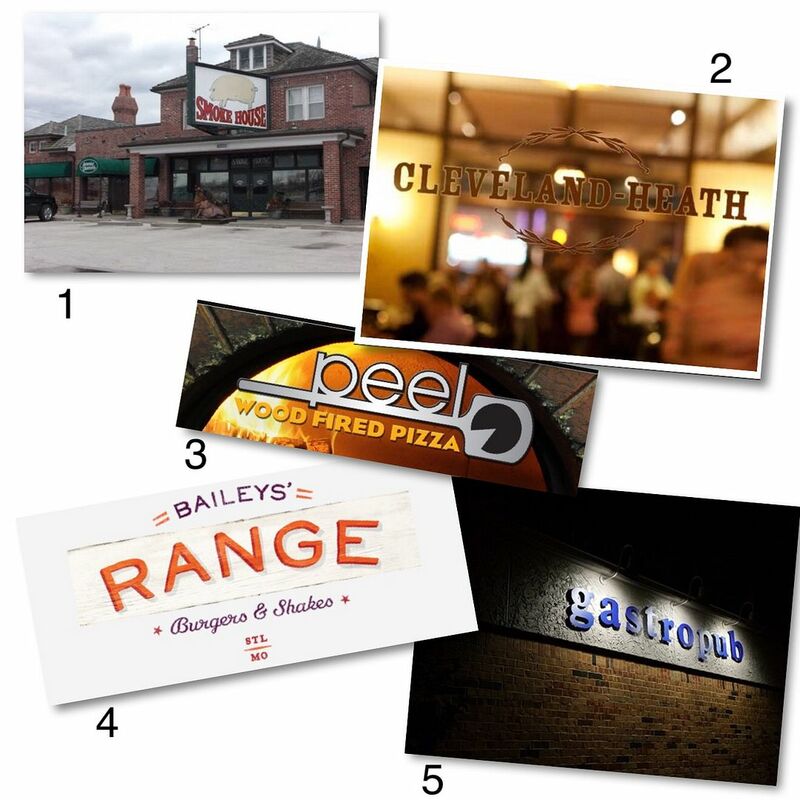 I wanted to explain this to you so you understand why some of these restaurants are located in Illinois! Fortunately for us, there are so many crave-worthy restaurants in our suburb, but I did want to share a couple of our favorites on the Missouri side of the river, too! Oh, it's also worth noting that frozen custard is a pretty big deal here, too. Ted Drewes is pretty well-known and usually makes a top 10 list of places to eat or visit while in St. Louis. I do love Ted Drewes, but my favorite place to get frozen custard is Annie's in Edwardsville. For one, it has a drive-thru. And second, they have my most favorite concrete called a Cappuccino Cooler - cappuccino flavored custard with toffee and chocolate hardshell. Yes, it's amazing! Ok, so you know where you're going, but now what to wear? I'm all for showing a little more skin in the summer, mainly just to help manage through the heat! I definitely prefer dresses, but wanted to make sure I featured non-dress outfits, too, for some variety. If you'd rather wear pants or jeans, white skinnies are my first choice for the summer followed by the most destroyed pair of jeans with some fun heels. 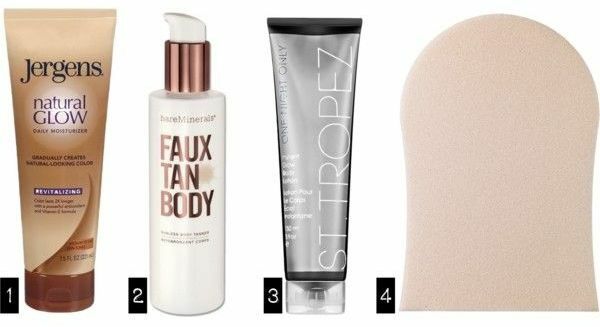 I wrote this post about sunless tanning lotions over three years ago! That's a long time! But after reading through it again, my thoughts and opinions on these products remain unchanged. I don't use sunless tanners regularly, usually a couple of days right before special occasions. If I knew I had a hot date, I would certainly want to add some color to my skin! Speaking of old posts, I've shared this one a couple of times on the blog now, and feel it's worth mentioning again as part of this summer survival series! Summer normally means bare feet that can get sweaty in shoes. Sweaty feet can exacerbate friction. Friction creates blisters. Blisters create pain and annoyance. I love my heels and sandals, but sometimes they need a little finagling to help my feet survive the night! I definitely recommend reading through that post to get the most out of your heels! That's all I've got for you today! Hopefully that provided some inspiration in one way or another! Be sure to follow through our coast-to-coast blog hop by heading to the South for Cyndi's take on this week's theme, or simply use the links above to meet each blogger in this series. Love all the recommendations for making heels more comfy! Once again, I love your take on this post! I know for a fact from your Snapchat that you know ALL the best places to eat in St Louis! That cappuccino custard sounds sooooo good! Also love your night-out style and the variety of looks you wear! Loving the tips on wearing heels and the info on St. Louis. I had no idea!